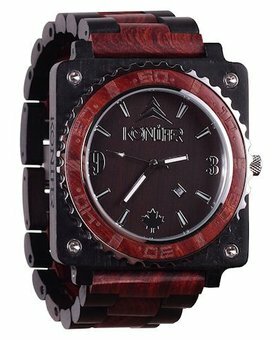 Our Adirondack collection is filled with square shapped watches for men. Find the color that fits your style : our Adirondacks are available in black, army, ruby and mahogany. All man made from high-quality materials, they are eco-friendly and lightweight, which makes them the most practical accessory for every occasion. Looking for a bolder watch? 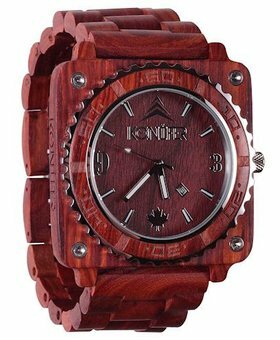 Take a look at the Adirondack Ruby, which stands alone with her two-toned design made of deep red and black. Created to impress!